Ok, so this spin is a bit of a cheat, it's actually the 1970 Hidden Missile Discovery set, which is essentially identical to 1974's Peril of the Raging Inferno. 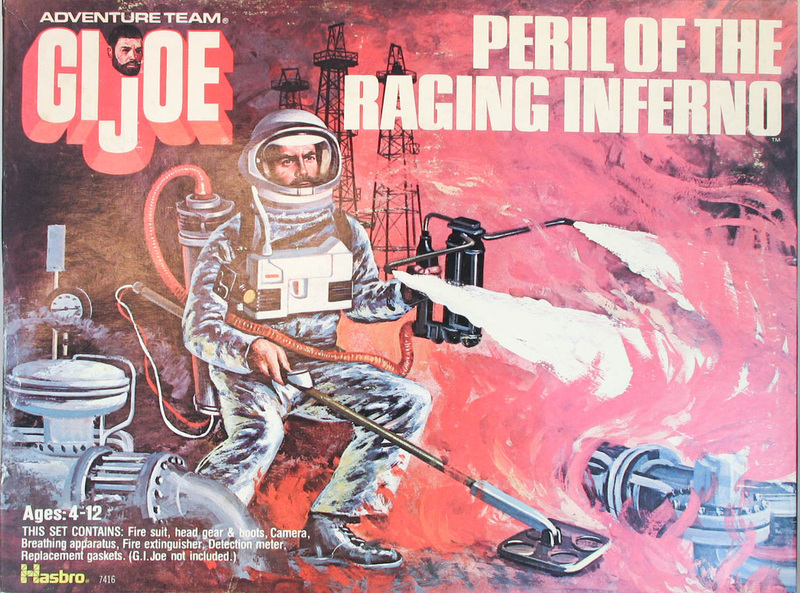 The main difference is that the Raging Inferno sets I have seen include the earlier style painted astronaut helmet, which is odd as the paint detail disappeared in 1970. 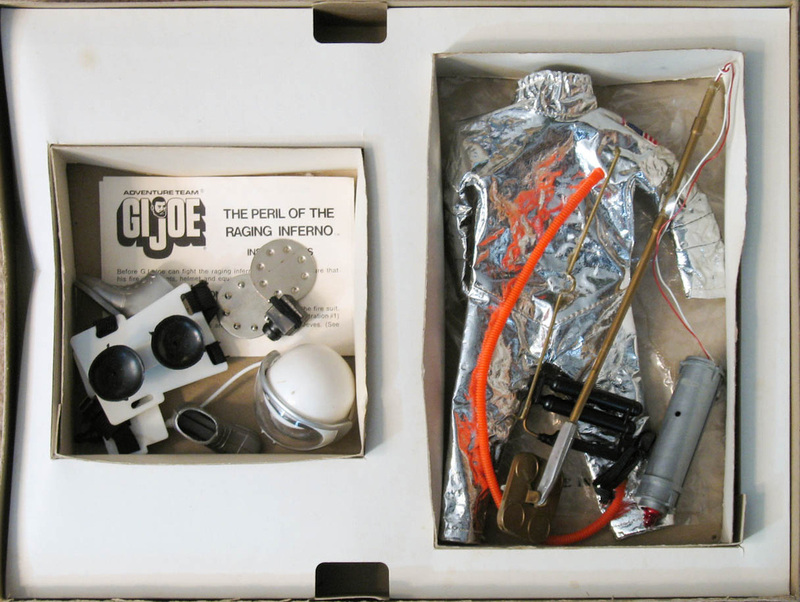 My only theory on this is that the Raging Inferno set was comped together to use up old materials found in one of Hasbro's warehouses, not improbable as the same items were also released in Backyard patrol bags. Another oddity about this set is that it is the only late issue accessory set sold in a hardtop box of the type that disappeared in 1969.